In A Leprechaun's Lament, Wayne Zurl brings us back to Prospect, TN. Sam and his department were first introduced in A New Prospect, which I reviewed last year. You don't need to have read that book to enjoy this one. While many of the characters are the same, the story is completely new. This time, Sam finds himself frustrated with a man who seems to have never existed prior to 1975. His past is a complete mystery. And uncovering it takes not only the Prospect Police Department but also the FBI, CIA, British Intelligence Services and more! What I love about these Sam Jenkins mysteries is Sam himself. He is an easy-going character who cracks a lot of jokes, likes to talk in different accents and is just an overall nice guy. Sometimes the accents are a bit too much in this novel, compared to A New Prospect. But overall, Sam's narration is fun. And his relationships with the people who work for him, his wife, and all of the other characters is realistic and lighthearted. The mystery itself isn't too complicated ~ I'll admit I figured out portions of it pretty early on. But that didn't take away from the overall fun of the novel. And I really enjoyed the secondary storyline of Stanley Rose, who is promoted to sergeant along with another character, Bettye. Stan's promotion draws a lot of attention to the Prospect Police Department and Chief Jenkins, including reuniting Sam with someone he worked with during his days on the force in New York. 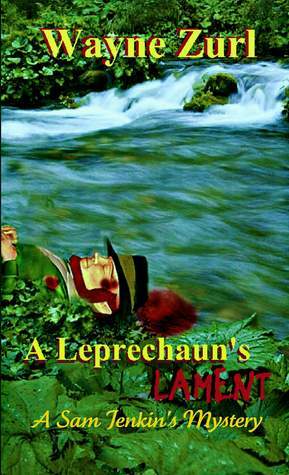 If you enjoy lighthearted mysteries, particularly those that take place in the South, definitely pick up A Leprechaun's Lament. As a North Carolina resident who is from the Northeast, I can relate to many of the little cultural details Zurl includes throughout the novel. I will say I liked A New Prospect a bit more, perhaps because it was my first encounter with Sam Jenkins. But this is a great follow up. Wayne Zurl grew up on Long Island and retired after twenty years with the Suffolk County Police Department, one of the largest municipal law enforcement agencies in New York and the nation. For 13 of those years he served as a section commander supervising investigators. He is a graduate of SUNY, Empire State College and served on active duty in the US Army during the Vietnam War and later in the reserves. Zurl left New York to live in the foothills of the Great Smoky Mountains of Tennessee with his wife, Barbara. This review was written based on a copy of A Leprechaun's Lament that I received from Pump Up Your Book in exchange for an honest review. Thank you so much for your wonderful review today, Julie!